I am a third-year History of Medicine PhD student. My research is supervised by Professor Roberta Bivins and is kindly funded by the Wellcome Trust. My thesis is provisionally titled 'Advertising, Stereotypes and ‘Addiction’: Understanding Sunbed Representation in England, 1970s-1990s'. In the UK, the term 'sunbed' appeared in both newspaper and magazine advertisements in 1978. The first part of my thesis evaluates these advertisements from the late 1970s to late 1980s. Both indoor tanning devices (used in private households) and ‘tanning parlours’ (located in unregulated public spaces) are explored. A visual analysis of print press material and trade directories provides information of where sunbeds initially emerged; the types of local to national manufacturing businesses drawn to selling sunbeds; the adverts' original target audiences, and finally, how sunbeds were marketed as 'healthy' and 'safe' to the public. Further audio-visual analysis of television reports, combined with oral histories and material from business archives, will illustrate how sunbed use (both domestic and commercial) became an accepted and popular consumption throughout the 1980s. Having investigated the factors which drove the 'excess persistence' of sunbed use, the second part of my thesis explores the media-induced ‘moral panic’ surrounding sunbed consumption. In 1991, the first medical authority officially coined the term ‘Tanorexia’ in Britain. This weight given by public health officials led to an emergence of an undesirable 'Tanorexic' stereotype within a wide-range of mid-to-late 1990s visual material. The 'Tanorexic' was framed and stigmatised on national television, made accessible to the public via documentaries, talk shows and news reports. Through evaluating this media, I argue that this gendered and class-based stereotype extends the histories of women (and homosexual men) being criticised for ‘vain’ and ‘feminine’ consumptions. 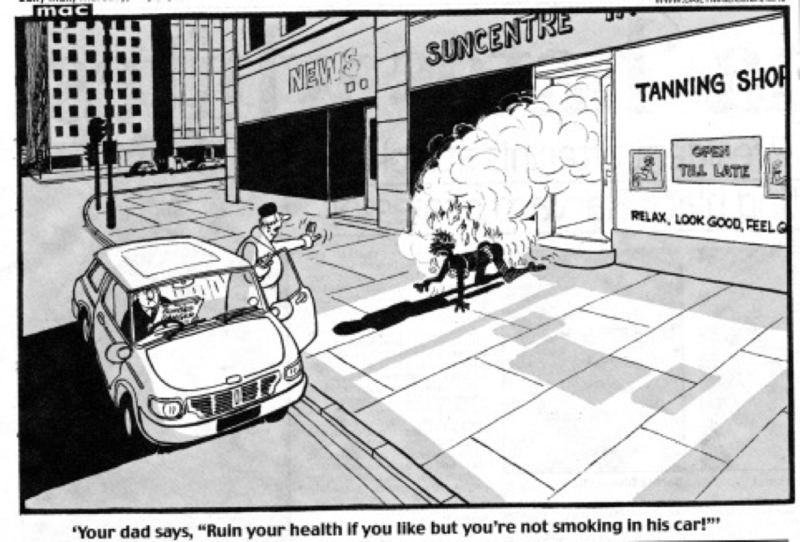 However, the media-induced moral panic was also an attempt to decrease skin cancer rates, aiming to improve the long-term health of the British public. My research on the sunbed industry builds on the history of how 'mixed media' and medical research changes the representation of consumptions - particularly those related to health commerce; 'healthy' bodies; 'excess'; moral panic; stereotyping; stigma, and finally 'addiction'. An exploration of the sunbed industry also adds to the historical narratives that address class, gender, race, age and sexuality. 2016 – 2019: Medical Humanities PhD, Centre for the History of Medicine, University of Warwick, (Originally titled): ‘Aesthetics, Addictions and Health advice: Understanding ‘Tanorexia’ in Contemporary Britain, 1978-2016’. Supported by the Wellcome Trust. Supervised by Professor Roberta Bivins. Spring Term 2018: Audited an MA module, ‘Television History and Aesthetics’, to develop my understandings of 'neo-liberal' bodies portrayed through audio-visual media. Taught by Dr Rachel Moseley (Department of Film and Television Studies). 2015 – 2016: MA History of Medicine (Distinction), Centre for the History of Medicine, University of Warwick. Dissertation Title: ‘THE TANOREXIA TIMEBOMB’: The History of Sunbed Addiction and The Sunbed Industry in England, 1978-2015. Supervised by Professor Roberta Bivins. Supported by the Wellcome Trust. 2011 – 2014: BA Combined Honours: History and Music (First Class), University of Liverpool. Dissertation Title: The History of Bulimia Nervosa among America Males in New York, 1970-1999. Supervised by Dr Stephen Kenny. 2014: David Thistlewood Award (highest overall mark in Year 2 and Year 3 in the Combined Honours programme). 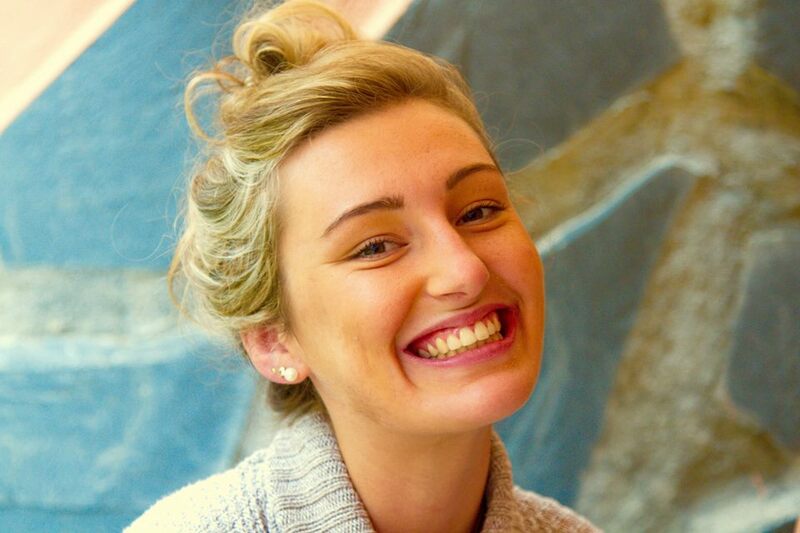 2012: Study Abroad Semester Scheme (awarded the sole exchange position on the Combined Honours course to study at Monash University, Melbourne). Creed, Fabiola, Review of 'Tania Woloshyn, Soaking up the Rays: Light Therapy and Visual Culture in Britain, C. 1890-1940 (Manchester: University of Manchester Press, 2017)' in Social History of Medicine, (February 2019). (UPCOMING) 27-30 August 2019: ‘65 hours sunbathing’ or ‘7 hours on a sunbed’: The Sensible Sunbed Consumer (England, 1980 to 1982). ‘Sense and Nonsense’, European Association for the History of Medicine and Health (EAHMH), University of Birmingham. 12 March 2019: ‘The Body Programme for the Positive Woman’: Sunbed Consumers and Affluence (Liverpool, 1978-1980).' (PhD Work in Progress Seminar), Centre for the History of Science, Technology and Medicine (CHSTM), University of Manchester. 11-13 July 2018: 'SUNBEDS FOR YOUR HEALTH & SAFETY’: Sunbed adverts in the Mersey Yellow Pages, 1978-2002.' 'Conformity, Resistance, Dialogue and Deviance in Health and Medicine' International, Biennial Conference, Social History of Medicine (SSHM), University of Liverpool. 10-13 May 2018: 'From "overuse" to "addiction": Translating medical sunbed health advice to national television, England, 1990s', 'Media and Medicine' Panel, American Association for the History of Medicine Annual Conference (AAHM), Los Angeles, California, US. 19-21 February 2018: 'A visual feast [of] muscle builders’: Men, Sunbeds and Television in Thatcher’s England', Broadcasting health and disease. Bodies, markets and television, 1950s-1980s conference, Wellcome Trust, London. 9th - 10th November 2017: 'The emergence and persistence of sunbed addiction in England, 1978-2010', Society for the Study of Addiction Annual Conference, Newcastle. 7th November 2017: 'A ‘healthy’, ‘safe’ and ‘deep lasting tan’ – ‘all year long’: The Advertising of Household Sunbeds in British Newspapers, 1978-1988', Cambridge Body and Food Histories (Bodily Modifications interdisciplinary research theme), University of Cambridge. 29th - 30th June 2017: 'From 'healthy golden’ people to ‘tanorexics dying for a tan’: The Visual Culture of Sunbed Consumption in the British Media, 1978-2013', Postgraduate Medical Humanities Conference 2017, Centre for Medical History, University of Exeter. 5th May 2017: 'A Gendered Addiction: The Framing of ‘Tanorexia’ by the British Media and Medical Authorities, 1978-2010', Contemporary Applications of Historical Research Conference, Humanities Building, University of Nottingham. May 2016: 'The Rise of the Sunbed Industry: ‘Tanorexia’ among White British Women: Liverpool, 2006-2016', Department of History Postgraduate Conference, University of Warwick. February 2016: ‘Dermatologists fear the cult of sun worship is getting out of hand: How did medical authorities and the sunscreen industry popularise suntanning during the 1960s?’, ‘Contested Histories’ History Department MA Conference, University of Warwick. (Upcoming) April - July 2019: Wellcome Trust Secondment Fellowship at Parliamentary Office of Science and Technology (POST), Westminster. 25 - 28 January 2018: Finalists for the 'Public Health Product Forge' Hackathon (Edinburgh). In our teams, we had to research and design a template of a product ('Med-Ease'), which would fill a gap in the medical market and improve public health services. Our 1-minute elevator pitch allowed us to be shortlisted to present our 6-minute promotion presentation. This was followed by a Q&A session with the judges (Directors in Public Health/the NHS in Scotland). 9th - 10th November 2017: Presented a poster showcasing a summary of my thesis for the SSA poster competition. January 2017 - January 2018: Monthly blog posts, 'PhD Life: A Blog on Addictions, Bodies, Drugs, 'Excessive' Consumptions, Gender ….. AND SUNBEDS'. 18th September 2017: Blog piece for the Beauty Demands Network, University of Birmingham: 'Sunbeds: Are they simply an 'irrational' compulsion?'. 7th June 2017: Shortlisted for the final round of the 'Three Minute Thesis competition (3MT)' for doctoral students (University of Warwick). August 2015: Volunteer work experience for Boots Archivists, Conservators and Records Managers in Nottingham. September 2014 – August 2015: Classroom Learning Assistant, Toot Hill Secondary School/College, Nottingham. 2018 - 2019: Assists Dr Jane Hand and Dr Kathryn Wood convene the Centre for the History of Medicine Work-in-Progress Seminars. 2016 – 2017: Chair for first-year PhD students, Postgraduate History Student Staff Liaison Committee, University of Warwick. 2015 – 2016: Secretary and peer-review editor for the History Department’s postgraduate journal Retrospectives, University of Warwick. 2015 – 2016: Co-convenor for the Centre for the History of Medicine Reading Lunch series with Andrew Burchell, University of Warwick. March 2016: Oral History Society workshop volunteer for the ‘Through the shop window, 1880s-1980s’ exhibition, Leamington Spa Museum & Gallery. 12 February 2016: Chair for the MA History Postgraduate Committee, organising the 'Contested Histories' Conference, University of Warwick. American Association for the History of Medicine. PhD Life: A Blog on Addictions, Bodies, Drugs, 'Excessive' Consumptions, Gender ….. AND SUNBEDS. ‘Dreaming of a Brown Christmas?, Telegraph Sunday, December 1981. ‘Tanorexia’, Daily Mail, 16 May 1996. Daily Mail, 30 July 2009.